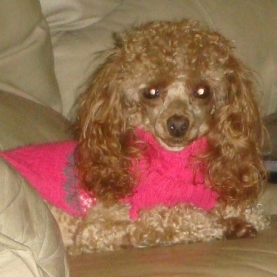 This essential oil blend was birthed after the sudden death of our little poodle, Bella. The purpose of this blend is to assist with a major shock and or trauma, the grief that follows and the courage to go on. Melissa (Melissa officinalis) - Melissa essential oil is another powerful aid when dealing with shock. Melissa is a strong sedative, and can be used to reduce shock. Its sedative effects come on slowly and are quite gentle but effective. When depression is due to serious stress, Melissa can be highly effective in reducing the tension, and therefore provides an emotionally uplifting effect. Melissa is a great oil to manage agitation and restlessness. Melissa essential oil is distilled from the leaves of the Lemon Balm plant. Oils that are distilled from leaves represent breath and breathing, Taking in of Life, Expansion, Empowerment, Shielding. Laurel Leaf (Laurel nobilis) - Laurel Leaf essential oil is our go to oil for protection, courage and insight. Bay laurel is said to convey the gift of prophecy. It is known to be a cerebral stimulator and nerve tonic for the central nervous system. It is well rounded in its chemical components and therefore is a very balanced and balancing to our emotional body. The principal action of Laurel Leaf is to regulate and circulate. It helps get us moving on our journey and path again. Laurel Leaf is distilled from the leaves and small branches of the Lauris nobilis tree. Oils that are distilled from leaves represent breath and breathing, Taking in of Life, Expansion, Empowerment, Shielding.